This is probably the most common mistake, and that is to get so impatient that you immediately make a huge leap in your risk exposure. Traders typically make this mistake because they are getting emotional. You may feel frustrated because you are progressing so slowly toward your goals. It is hard to imagine making $20 on your trades now and that somehow turning into $2,000 years later. The thought of those years can really get you down. Maybe you recently had a and are impatient to get back what you lost. That desire to get back to square one and start moving forward again can prompt you into making some really foolish decisions. You may also feel tired of associating with wealthier traders who routinely pull in a hundred times what you do on their trades, and may feel like you are “lagging behind.” In a desperate bid to catch up and become one of the bigger fish in the pond, you actually end up throwing it all away. Why is it bad to increase risk so quickly? First off, it is irresponsible. If you only have $1,000 in your trading account, you have no business risking $200 on a trade. That is 20% of your account, which is an unacceptably high risk margin. You should stick with close to 3%. Imagine losing all the money in your account in just five trades! It could happen. Just consider your most recent losing streak, the streak which maybe even prompted this decision. Your emotions will swing even more wildly out of control. When you are risking more money (or a higher percentage) on your trades, those trades suddenly feel huge, because they are, and then you can easily lose perspective. You may start making trading decisions differently. Your nerves will probably cost you more trades. You could find yourself in a vicious cycle. Imagine that you just lost several trades in a row with your usual investment amount, and then decided to wager ten times as much on your next trade. You lose that trade, and suddenly your account is suffering from massive drawdown. Depressed and angry, you try to get back at the market with another huge wager. Before you know it, you have lost everything. Sometimes wins, and not losses, prompt these sudden bursts of risk exposure. If you are on a winning streak, you may begin to feel overconfident. You might wonder why you are wasting all your talent on miniscule profits when each of your trades could be making so much more. This is right about the point where you will invest a ton of money on a trade and lose it all. When you get into this mode, you usually start making poor emotional trading decisions, and not just bad money management choices. The result of that combination can be pretty disastrous. You can almost always avoid a huge jump in your risk exposure, simply by deciding here and now never to increase your risk more than incrementally. One time you cannot avoid it however is when you make the move from a to a real account with real money for the first time. At that point, your risk has increased from 0 to around 3%. Risk exists for the first time. It may be small, but the change from nothing to something is obviously huge. Many traders freak out when they trade live for the first time. There may be no getting around that, but one good practice is to start trading with about half of what you ultimately intended to start with. Trade 1.5% of your account until you get past that initial daunting leap into the world of risk. Then boost your account to 3%. What about those situations where you experience a losing streak and that urge to dramatically “get it all back” with a single huge trade? Remind yourself at those times that if your losing streak is within the expected bounds based on your testing (they are occasionally unavoidable), you should probably continue trading as usual and not worry about it. It does not mean you are failing. If however your losing streak is outside those bounds or you do not understand what is going on, it is time to return to demo. You may feel like that is a step backwards, but in the grand scheme it will save you money and get you back on your feet and profiting much more quickly! 2. Scaling at the wrong times. Do you often use ? In binary options online trading, these are both tools you can use to add to your investments. Doubling up adds money while rolling over scales your trade in terms of time and also requires you to increase your risk exposure in order to stay in the trade. Both tools can be advantageous and give you an opportunity to win more when you have a good situation going, but they should be used cautiously. Doubling up or rolling over may sound logical when you are winning a trade, and they do work well for a lot of traders. But sometimes they do the opposite of helping you out. Why would it not make sense to ride out your gains as far as you can? If you are a trend trader, you probably are making your money by spotting new trends right as they are forming and getting in on them early. Some trends you can ride out for extra profits, but others will quickly reverse. You do not want to increase your risk as you draw nearer to a potential reversal! That is simply an inopportune time. How do you keep from falling into this trap? All you can really do is test and test and test some more. Eventually you will find what works for you! But do it without putting real money on the line! 3. Sizing up on only the “best” trades. While this is another practice that at first may sound completely rational and intelligent, it is a deceptive one. When you are really confident in a trade, you should take it, and invest the same low percentage you normally would. And when you are not as confident in a trade, you should not invest less—you should simply not take it. This is not to say that you should be psyching yourself out of good trades. But you should be avoiding situations where you are not taking “A” trades altogether. When the only trades you take are those you are really confident in, there is no subjective reason to start investing huge amounts of money on some trades and not others. So this practice is eliminated. Do not put extra money down on the “A” trades and less on the “B” trades. Only take the “A” trades, and keep your risk exposure low and consistent. If you are going to scale up in the middle of a trade using a feature like Double Up, only do so if you have tested that strategy in demo and you know for a fact that it works with your system. 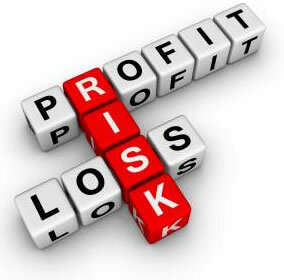 Avoid increasing your risk exposure in a trend trade at a time when a reversal is increasingly likely. Do not allow your emotions to determine your trade size. That includes not only negative emotions like fear or anger but “positive” emotions like pride. Stick with around 3% of your account to invest. Gradually scale up the dollar amount of your investments while keeping your percentage more or less the same. Consider for example re-calculating 3% of your account every time you boost your total by 5%. That way you are exponentially gaining and investing more and more, without overwhelming yourself or your account. Stay modest and moderate with your investments during good times and bad, and you will slowly build up your account. Someday you will look back and be amazed at how far you have come with your trading, and then you will know that all that patience was worth it!